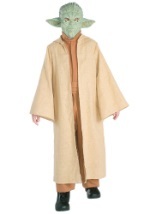 Who doesn't love Yoda from the infamous Star Wars movies? 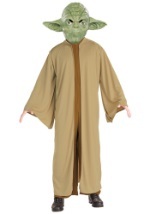 Now you can be the Jedi Master with this authentic mask. The full mask features inset wrinkles in all the right places and perfectly formed features. 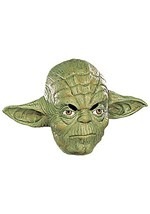 The mask has painted-on eyes, and you see through the eyebrow slits. The perfectly shaped ears stick out from the mask's sides. 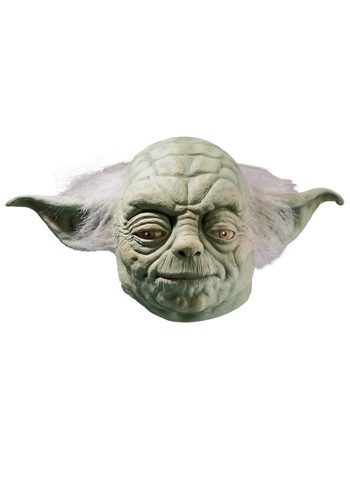 A strip of light green hair is attached to sides and top of mask. Nostril openings make the mask comfortable to wear all night long. 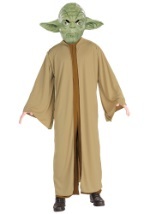 Coordinate with one of our Yoda costumes!